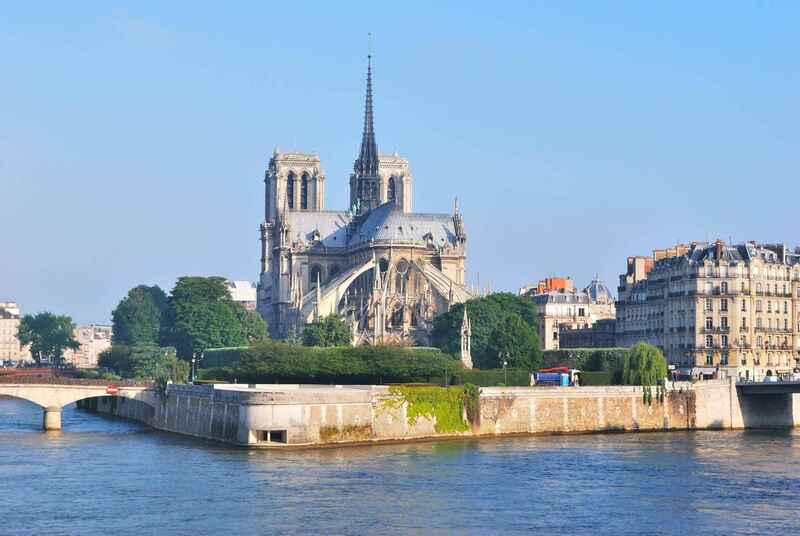 The western end has held a palace since Merovingian times, and its eastern end since the same period has been consecrated to religion, especially after the 10th century construction of a cathedral preceding today's Notre Dame. The land between the two was, until the 1850s, largely residential and commercial, but has since been filled by the city's Prefecture de Police, Palais de Justice, Hôtel-Dieu hospital and Tribunal de commerce. Only the westernmost and northeastern extremities of the island remain residential today, and the latter preserves some vestiges of its 16th-century canon's houses. The Mémorial des Martyrs de la Déportation, a memorial to the 200,000 people deported from Vichy France to the Nazi concentration camps during the Second World War, is located at the upriver end of the island. The Pont Neuf is the oldest standing bridge across the river Seine in Paris, France. Its name, which was given to distinguish it from older bridges that were lined on both sides with houses, has remained after all of those were replaced. 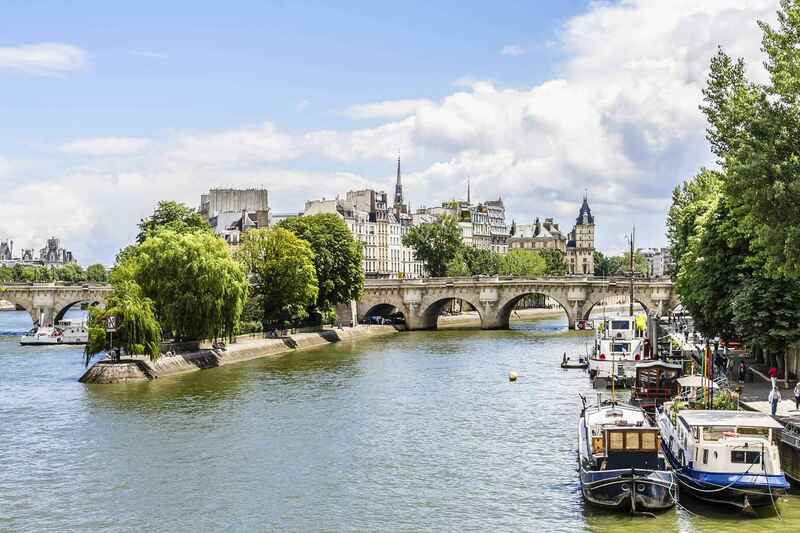 It stands by the western (downstream) point of the Île de la Cité, the island in the middle of the river that was, between 250 and 225 BC, the birthplace of Paris, then known as Lutetia, and during the medieval period, the heart of the city. The Place Dauphine is a public square located near the western end of the Île de la Cité in the first arrondissement of Paris. It was initiated by Henry IV in 1607, the second of his projects for public squares in Paris, the first being the Place Royale . He named it for his son, the Dauphin of France and future Louis XIII, who had been born in 1601. From the "square", actually triangular in shape, one can access the middle of the Pont Neuf, a bridge which connects the left and right banks of the Seine by passing over the Île de la Cité. A street called, since 1948, Rue Henri-Robert, forty metres long, connects the Place Dauphine and the bridge. Where they meet, there are two other named places, the Place du Pont Neuf and the Square du Vert Galent. Île de la Cité | eTips Inc.